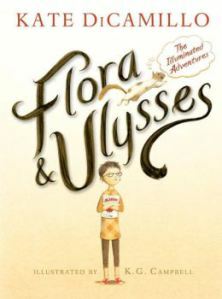 Kate DiCamillo won the Newbery Award again – this time with Flora and Ulysses. This entry was posted in authors, book review, books, children's books, children's literature, reading and tagged Book, Children's literature, Flora and Ulysses, Kate DiCamillo, Newbery Medal, Squirrel, Ulysses. Bookmark the permalink.